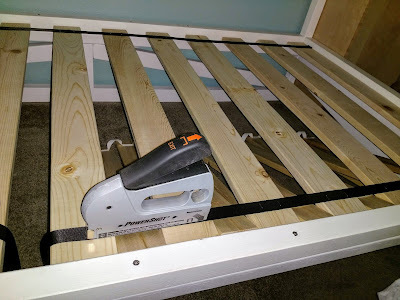 You need to drill vertical holes for screws to attach the KURA to the bed base on the long sides of the bed. 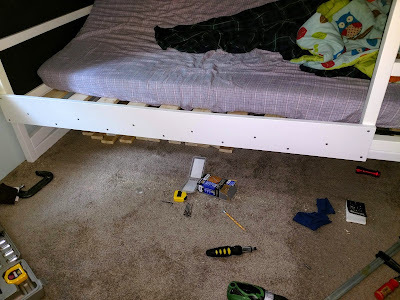 See the photos for approximate screw placement along the back side of the bed. I used eight 3-inch screws, being careful to avoid the center support so as not to interfere with the screw that is already there. The screw placement across the front needs to be more precise to avoid contact with the screws that will attach the front board to the bed. 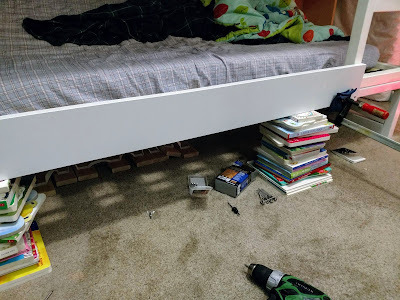 Using six 3-inch screws, I placed the first screw at approximately 7-3/8" from the inside leg on the non-ladder side of the bed and then spaced the rest of the screws at approximately 10-inch intervals. The final screw is approximately 1-3/8" from the inside ladder support. 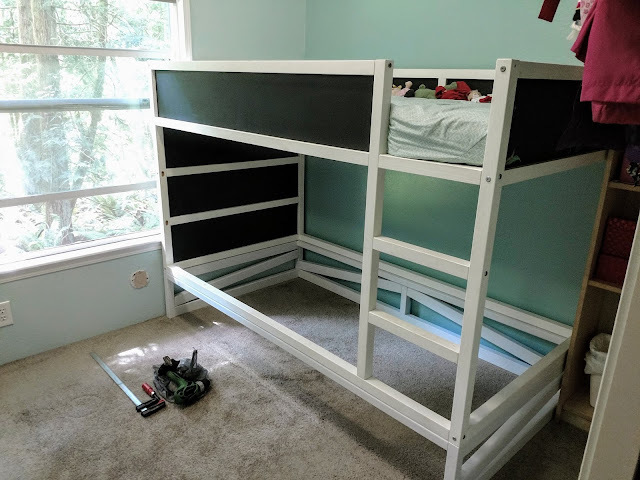 We wanted the slats to be removable to enable easier cleaning under the bed, so we chose to attach the slats to each other using nylon straps in the IKEA style rather than attaching them to the bed itself. The slats rest on the ledges created by the 2x3s that protrude past the KURA frame. In order to do this, you will need a spacer that measures between 2-3/4 and 3 inches to ensure equal separation between slats. We used some old boards that were about 2-3/4 inches wide. Put the 12 1x4 slats on the bed and use your spacer(s) to separate the boards the required amount. Starting at one end of the bed on the side nearest you, staple the nylon strap securely to the boards, continuing to space the wood out appropriately as you go along. Because there is no center support in the front of the bed due to the need to slide the trundle in and out and because we opted to use 2x3s for a more uniform look to match the KURA and to keep the bed height as low as possible, we needed something else to prevent the front 2x3 from bowing under heavy weight. 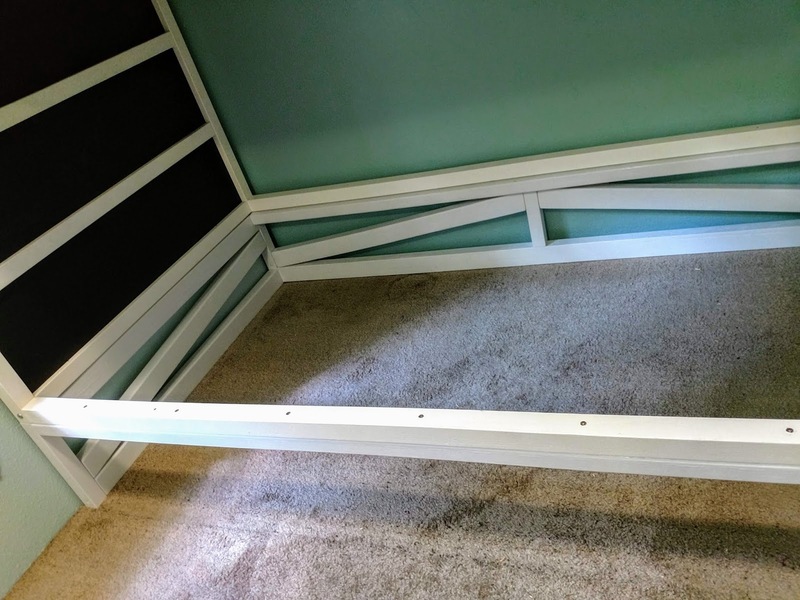 We also wanted something that we could attach a bed rail to since the KURA's 2x2s are too wide for the IKEA VIKARE. We decided to attach a 1x6 across the front from the ladder to the opposite side of the bed. Preparing this piece of wood is a little complicated because you need to create a small indentation where the large screw head for the IKEA KURA bed leg will be behind the board, otherwise the board will not lie flush against the KURA. We used a series of different sized drill bits to accomplish this, but any manner of tools could probably accomplish the job. The indentation needs to be a perfectly placed divot that has a diameter of about 5/8" and is about 1/8" deep. In order to get the cut out in the right spot, you could measure where it needs to be. We just clamped the board to the bed and Chris banged on it a bit to leave a mark on the board from the screw head, and this worked well. Whatever method you use to create the indentation, I highly recommend practicing on scrap wood first. Once your cut out is made, the board should lie flush against the 2x3 of the bed base and the 2x2 of the KURA. Line the the lower edge of the board up with the bottom edge of the 2x3 and use books or scrap wood to hold it level while you clamp it in place as shown. For this step,you will need to pay careful attention to screw size as well as placement. You will be creating two rows of staggered screws, and the screws that attach to the KURA itself will need to be 2 inches. The others should be 3 inches. 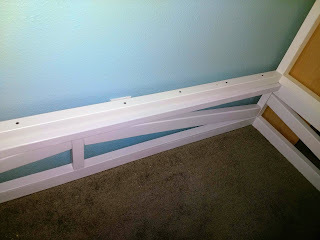 Beginning on the non-ladder side of the bed, put a 2-inch screw in the upper corner and a 3-inch screw in the lower corner as shown. 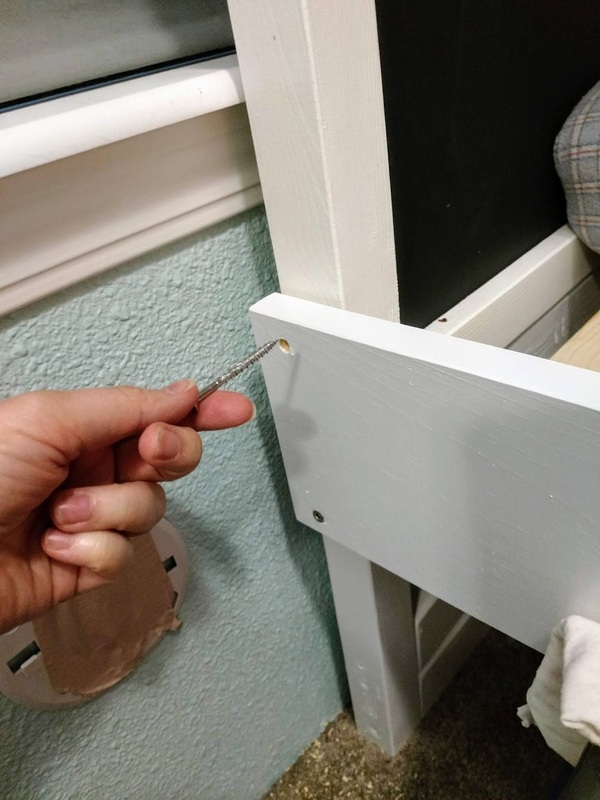 The 3-inch screw should fit right into the place that you left for a screw when you were building the bed base in previous steps. I used a shorter drill bit for this step so that I would not be drilling very far into the rear board. Next, you will need to place screw holes centered about ten inches from each other across the bottom of the board where they will go through into the 2x3 behind. 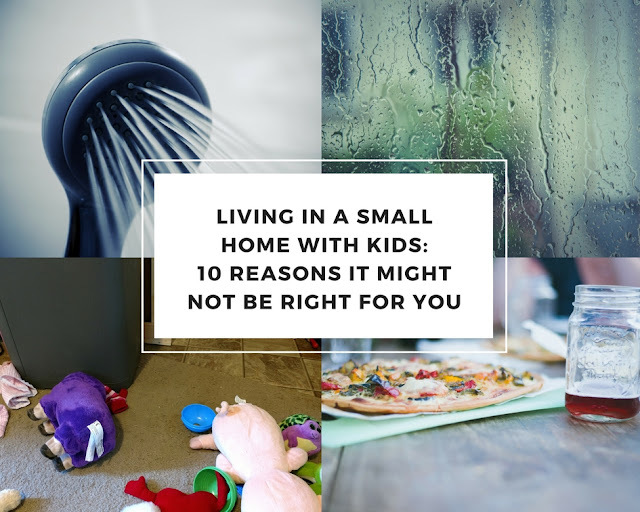 You may have about a half inch extra when you are done, but that is okay as long as you place your final screw in the bottom corner similar to where you put it on the other side. 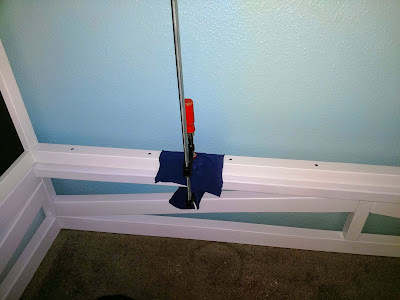 Use 3-inch screws for this row. For the row of screws going through the KURA 2x2, you will need to use 2-inch screws centered between the screws in the row below. See the photo for screw placement. Your final 2-inch screw should be placed in the ladder leg in the corner of your 1x6 as shown. If you have placed your screws correctly, they should not interfere with the vertical screws you used in Step Two above. 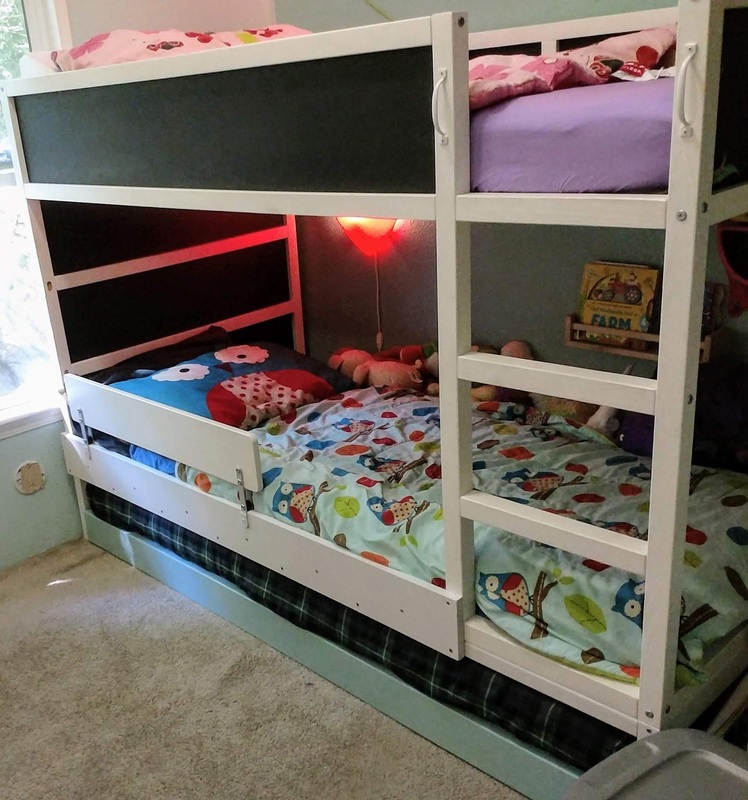 We chose to add handles and a guard rail to help our kids safely use the bed. Sweetheart still rolls out of bed at night, so we attached the IKEA VIKARE as shown, and it matches the bed perfectly while being easy to remove when she no longer needs it. Sunshine is a little short to be able to pull herself easily up the ladder since we raised the bed, so the handles we attached help her get up on her bed safely. 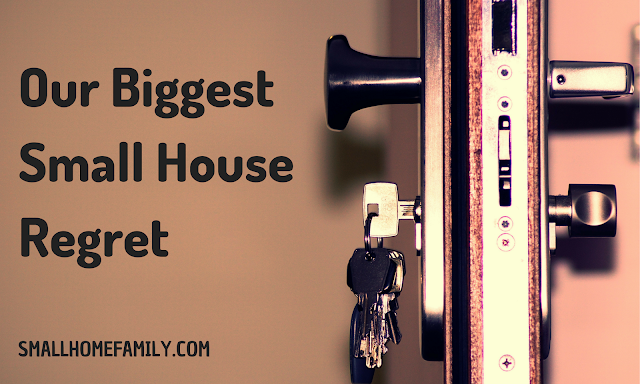 If you decide to use this tutorial, I would love to hear about it!